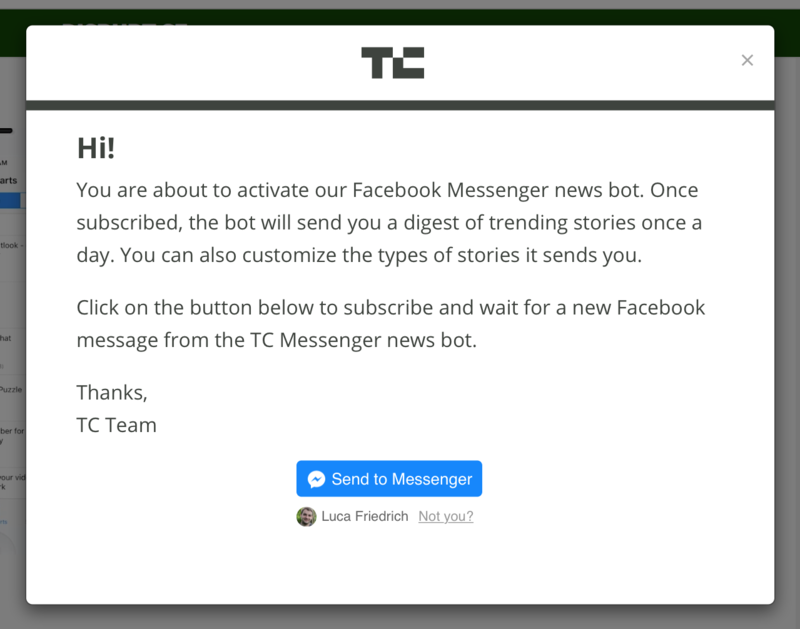 Facebook offers the Send-to-Messenger plugin to integrate a button linking to your chat bot on your website. As soon as a user then clicks this button the bot initiates a conversation. You can generate the necessary code to implement the button, in the Grow tab of the dashboard. 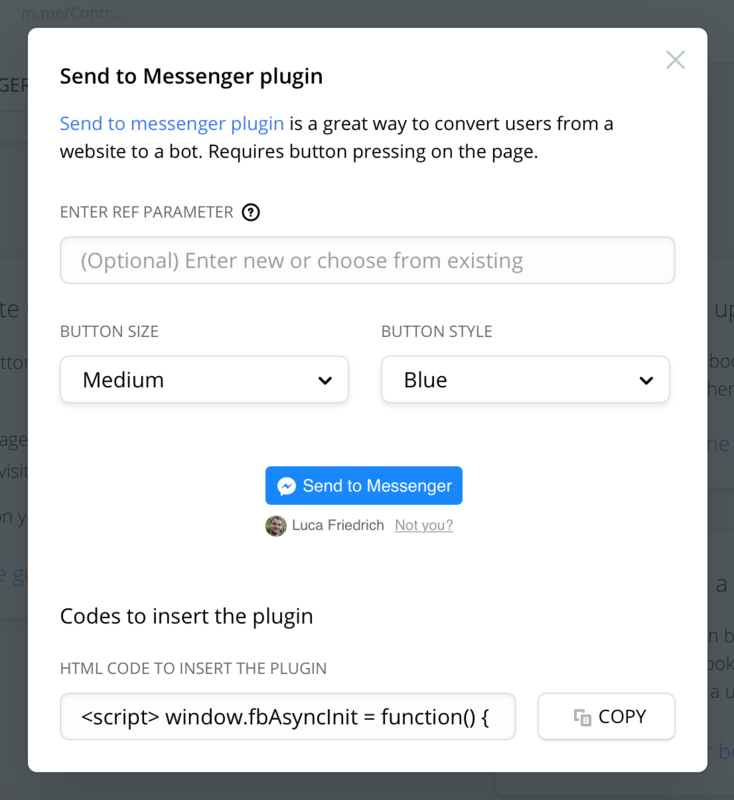 Head to Acquire users from your website section and click the Send to Messenger Plugin button to open the code generator. In the code generator, you can then select the size and style of the button you want to generate and also include an optional ref parameter to track the source of the acquisition. If the ref parameter already exists in your bot and is linked to a block, the user then will not receive the welcome message when they trigger the button but receive the block the ref parameter is linked to. You can always test out the button by clicking on the preview in the code generator. If you like how the button works and looks you can then just go ahead and click the Copy button to copy the generated code and embed it on your website.